Dog breeds ranked: Who is the best, smartest doggie? 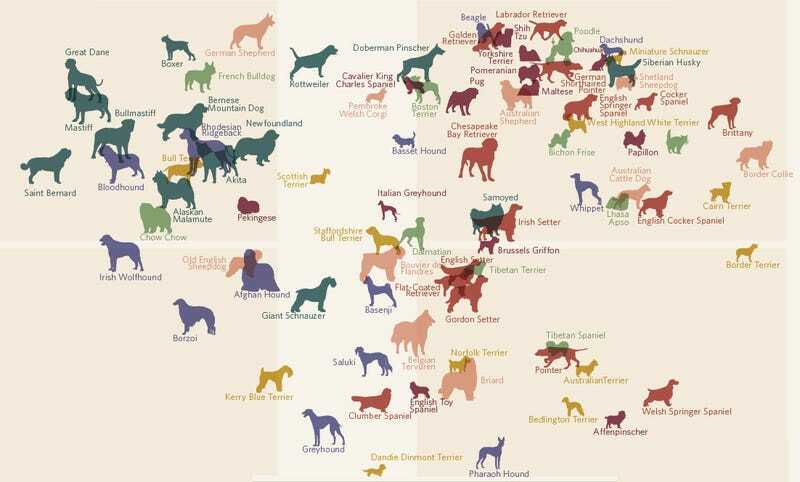 Designer David McCandless made this neat matrix mapping dog breeds according to factors like popularity, intelligence, longevity, or cost. Poor bulldog.